Call me crazy, but I seem to have developed a love of traveling to very cold places in the winter. Manitoba. Iceland. Minnesota. Ottawa. And now Norway. My first trip to Norway had me exploring the fjords and some of Norway's coolest roads to drive. My second trip, though, was all about winter adventures. And Norway – especially Northern Norway, up above the Arctic Circle – has no shortage of winter adventures. 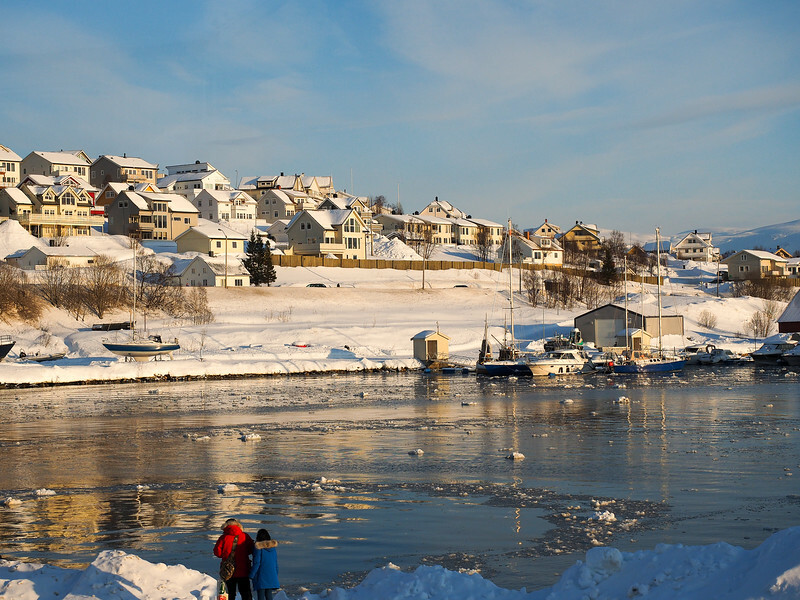 First, let me dispel a few of the myths of traveling to Northern Norway in the winter. For one, it's not actually as cold as many people assume. When I went to northern Manitoba to chase the Northern Lights back in 2013, nighttime temperatures were dipping down to -40 degrees. In Northern Norway, though, thanks to the Gulf Stream bringing warmer air up Norway's coast, temperatures barely dropped below +20 Fahrenheit. The days also weren't as short as you might expect. While it's true that this part of Norway experiences permanent twilight for part of the winter, this only lasts for a handful of weeks. In fact, by the end of February, there were easily 8 hours of daylight or more to enjoy each day. I spent a week split between Alta and Tromsø in late February, and would recommend this part of Norway to anyone looking for a great winter adventure. Norway's coast doesn't *always* get a lot of snow. In fact, locals in both Alta and Tromsø told us that they had a lot more snow this year than was usual. In both these Arctic cities, it's usually ice that's the main concern (Tromsø even has heated sidewalks to try and make it easier for people to walk around). But we were lucky to see both cities under a blanket of fresh powder, which definitely made everything feel more wintery and beautiful. Best places to see them: Anywhere around Alta and Tromsø! Let's face it: most people travel to the far northern reaches of the world with one thing in mind: seeing the Northern Lights. And it's no different in Northern Norway. Fellow blogger Marie and I went out on four different tours (once in Alta and three times in Tromsø), and were able to see the aurora three times (four if you count a quick unexpected showing at the Holmen Husky Lodge in Alta). The first, second, and last night were very weak showings, barely visible to the naked eye. But the third time – on a windy, blizzard-like night in Tromsø – we were greeted with the most incredible lights show I've ever seen. The aurora danced over our heads for at least 15 minutes, shifting and falling in shades of greens and purples that you could easily see with your eyes. I almost cried, it was so incredible. How to see them in Alta: Book with Paeskatun Tours for a great chance of seeing the lights with a very enthusiastic guide. How to see them in Tromsø: My pick would be either Tromsø Friluftsenter or Guide Gunnar for a small-group chase. 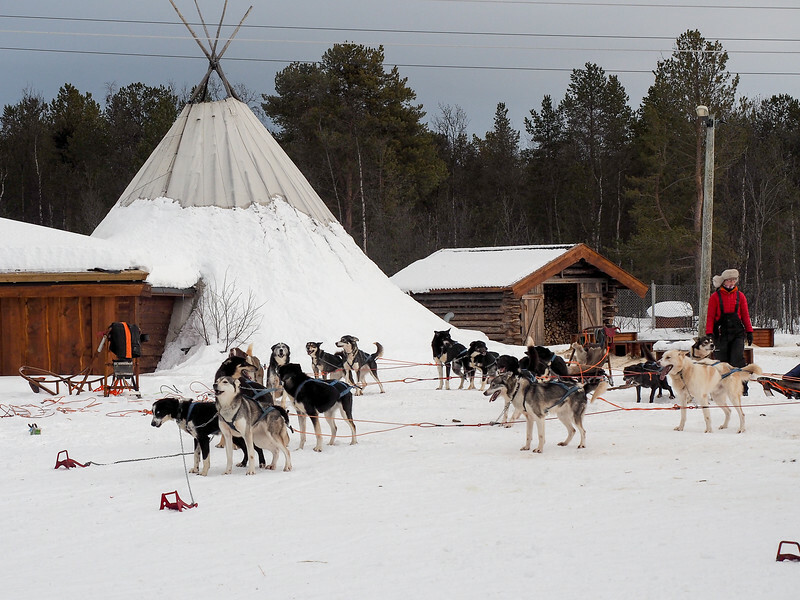 Another highlight of visiting Norway at this time of year is the opportunity to go dogsledding in the snow. 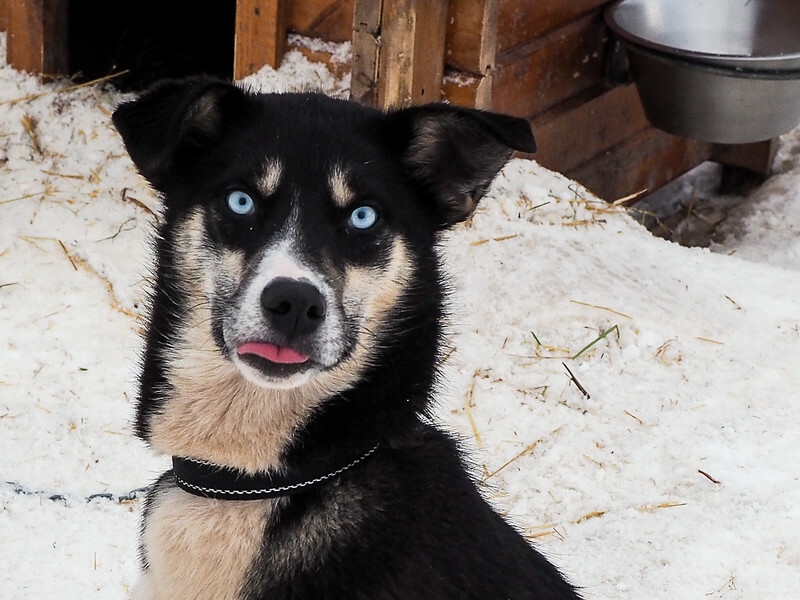 Many local mushers have teams that they race in the Finnmarksløpet, the longest dogsled race in Europe that begins and ends in Alta each March. Which means that, during the rest of the winter, you can visit and possibly even drive a sled of your own. Thankfully, you can always opt to just ride instead of drive, which is the best way to appreciate both the stunning scenery and the enthusiasm and quirks of the dogs. 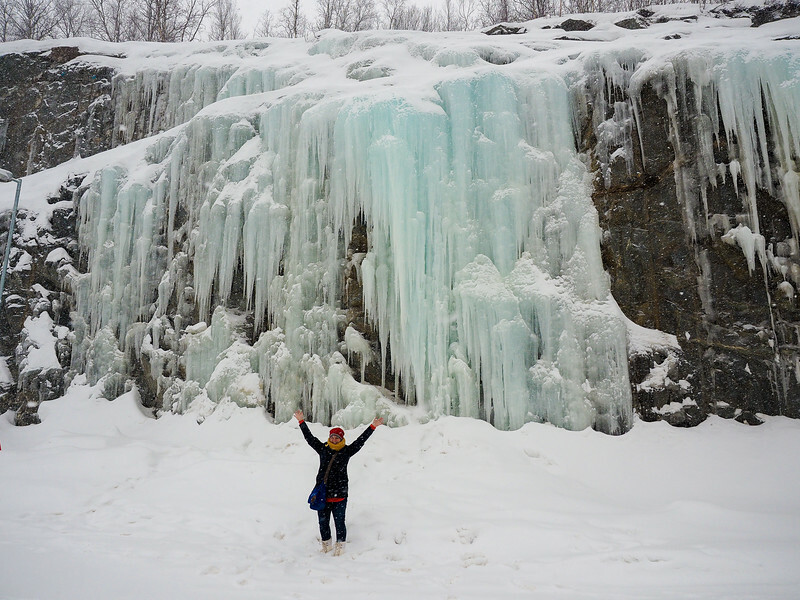 We can't talk about winter in the North without talking about ICE! 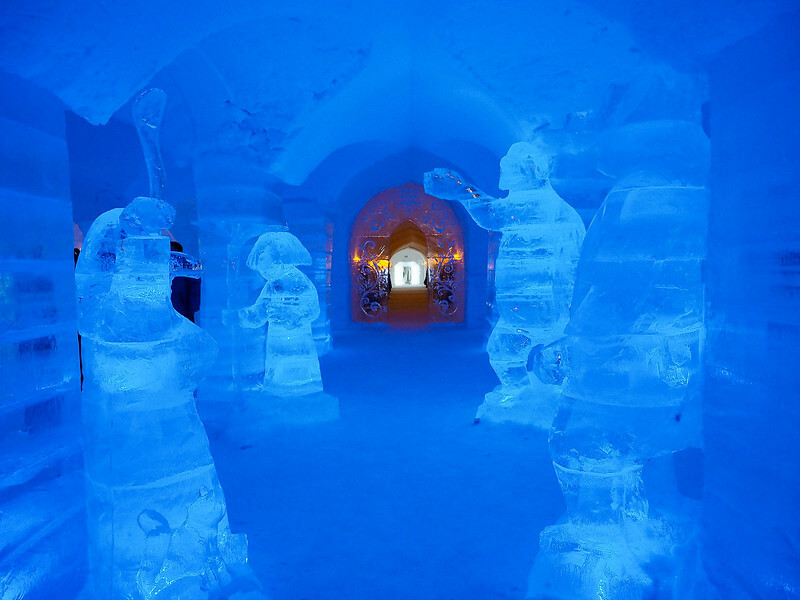 Along with plenty of it on the streets, you'll also find a very unique hotel in Alta: the Sorrisniva Igloo Hotel. You can book an ice bed (padded with a mattress and reindeer hides), or you can just go and visit to admire the intricate details and ice carvings. Where to go: Sorrisniva, which also offers outdoor adventures like snowmobiling, ice fishing, and reindeer sledding. One of my favorite outdoor activities in winter has to be snowshoeing. It's fairly easy, and yet still allows you to get out into nature and enjoy the snowy scenery. In fact, I'm tempted to get a pair of snowshoes of my own to use in some of the parks in Ohio! Where to do it in Alta: GLØD Explorer offers an easy snowshoe + ice fishing combo tour that includes lunch in a cozy Sami lavvo (tent/teepee). 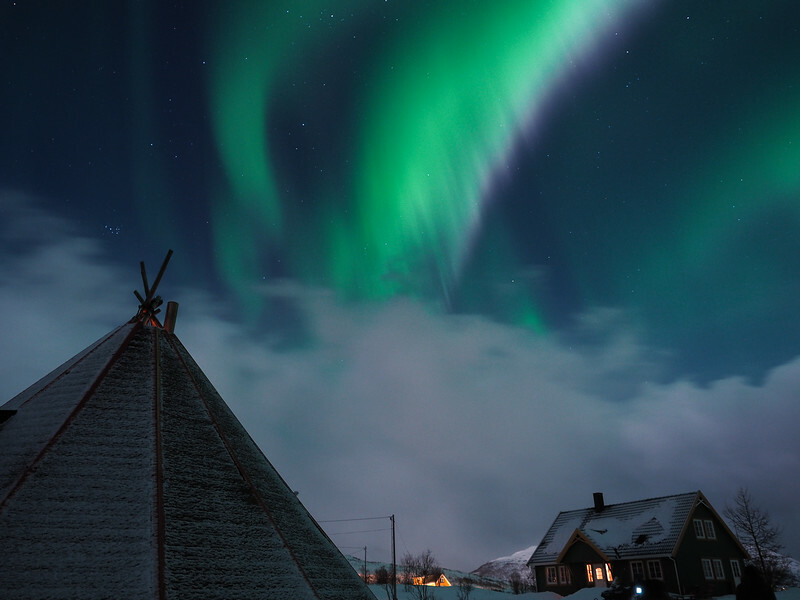 Finnmark is the most northerly region of Norway, and it's also where you'll find the Sami people. Sami culture can be found all across northern Scandinavia and Russia, and it's a culture that's actually experiencing a bit of a resurgence, especially in Norway where the government has apologized for marginalizing the Sami and now encourages them to celebrate their culture. 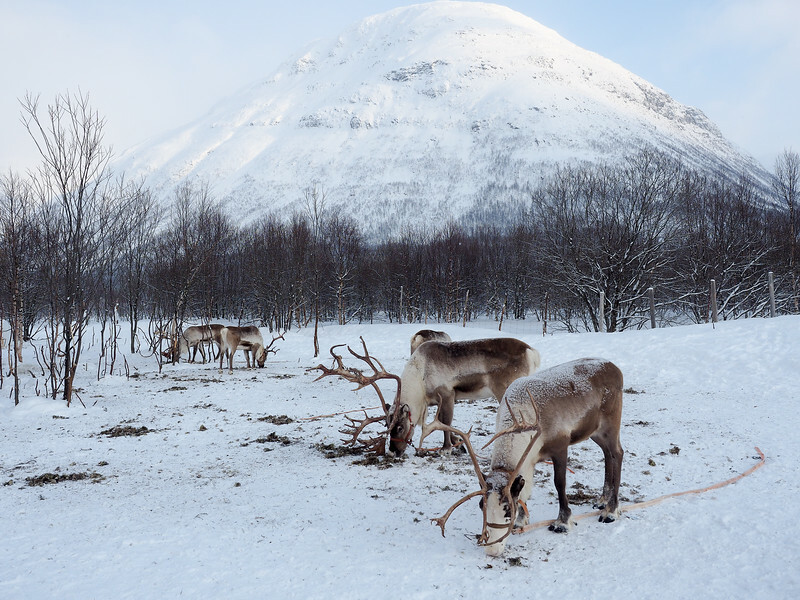 In Norway (and elsewhere in Scandinavia), the Sami are the only people allowed to own herds of reindeer, so Sami people and reindeer usually go hand-in-hand. Reindeer sledding is a popular tourist activity in Northern Norway, and it's a much more relaxing experience than dogsledding since the reindeer just kind of plod along through the snow. 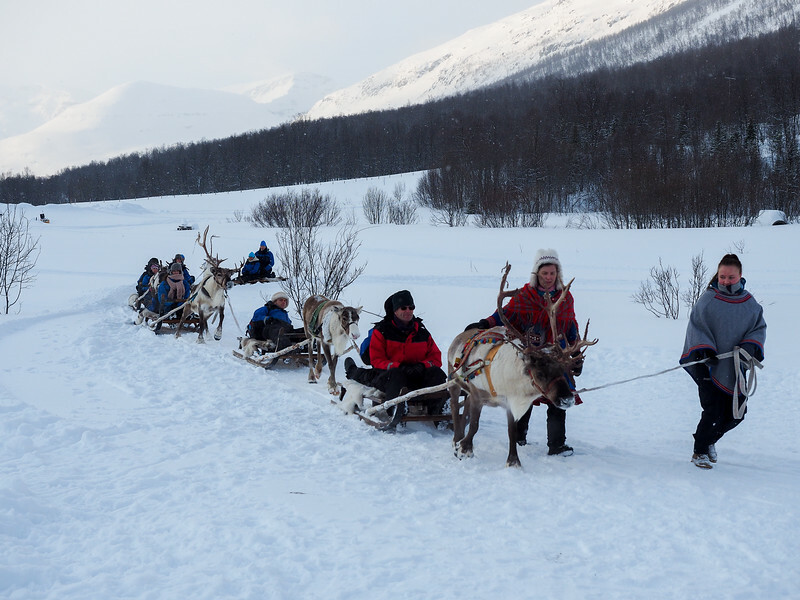 Where to do it: You can have a Sami experience in Alta at the Boazo Sami Siida, but if you want to go reindeer sledding, I highly recommend doing it with Lyngsfjord Adventure outside of Tromsø. Not only are the Sami guides super friendly here, but the landscapes at Camp Tamok up in the Lyngen Alps are stunning – perfect for a sleigh ride. Growing up as a country girl in rural Ohio with a dad who loves fishing (and who made sure to create a pond on our property when he built our house), I'm no stranger to ice fishing. But a childhood incident where I fell up to my hip into an ice fishing hole kind of turned me off the activity. I therefore wasn't super excited about ice fishing in Norway – but the experience ended up turning out great! Marie and I at our fishing spot. We snowshoed out to a lake, made our own fishing holes, and then sat on warm reindeer hides as we fished with the tiniest fishing rods in history. We didn't catch a thing, but we still had fish for lunch in a nearby lavvo. How to do it in Alta: I went with GLØD Explorer on a snowshoe + ice fishing combo tour. You can't really go to Norway without trying cross-country skiing. 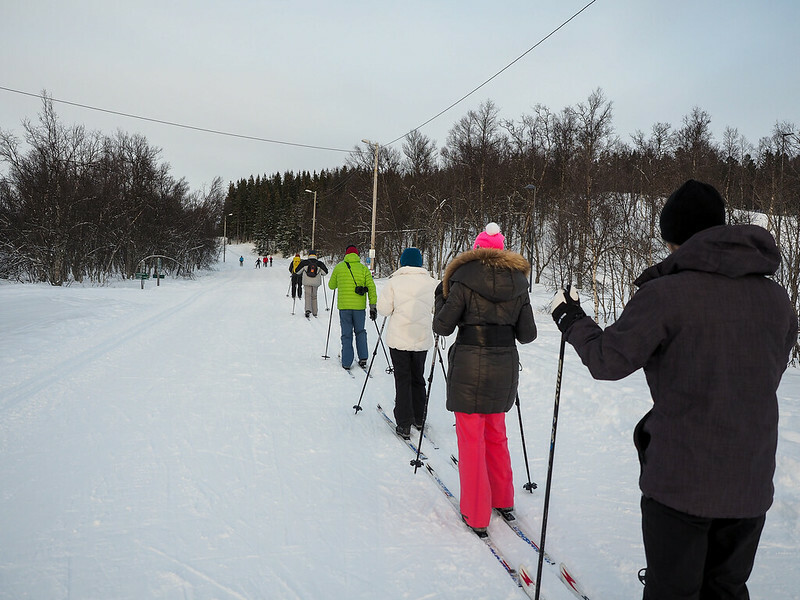 It's possibly the most Norwegian of all winter activities, and even on a weekday afternoon in February there were tons of people out on the cross-country ski trails in Tromsø. It's not exactly a natural sport to pick up if you've never done it before (expect a few falls, at least), but I found myself enjoying it a lot more than I expected to! 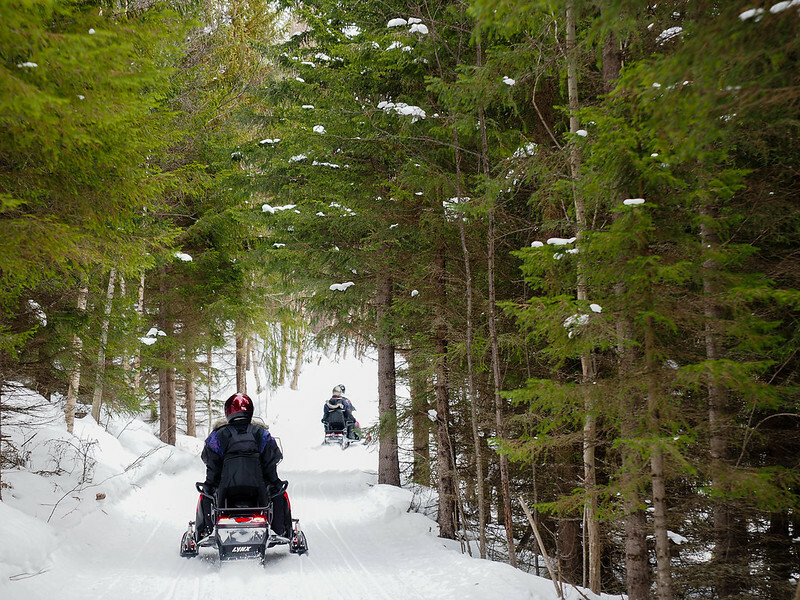 No list of snow sports would be complete without some snowmobiling. These “snow machines” are popular just about everywhere that gets lots of snow in the winter (friends in Ohio even have them), and while I've ridden on them before, this was my first time driving a snowmobile myself. And I HATED it. I found the machine kind of tough to turn, and I didn't like how it felt on anything but perfectly flat ground (i.e. like it was going to tip over at any second). 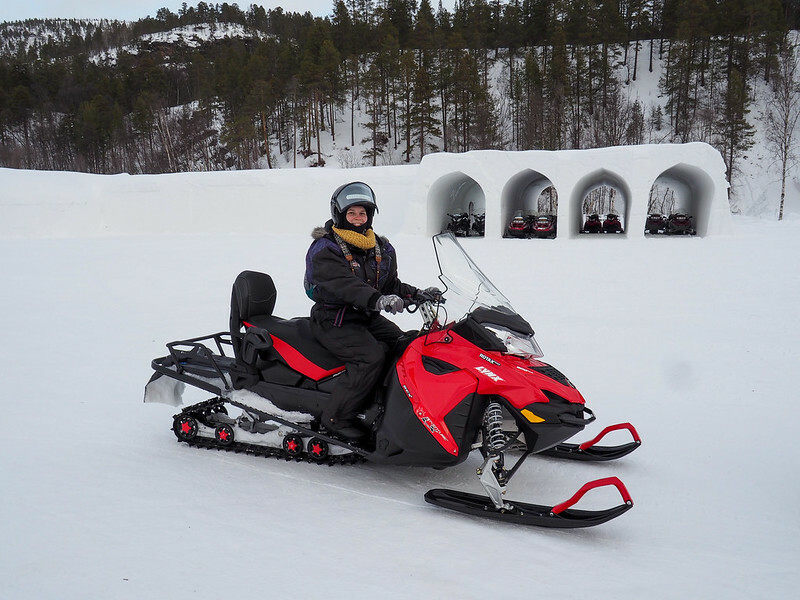 Marie and I disliked driving a snowmobile so much that we actually skipped a second planned tour! I'll stick to riding from now on. Where to do it: Don't let me scare you off, though! Plenty of people LOVE snowmobiles. We went with Sorrisniva in Alta, and Lyngsfjord Adventure also offers tours from Tromsø. Lastly, I have to say a word about the tour operators in Northern Norway: They. Are. Awesome. I haven't been anywhere else in the world that takes such good care of guests. Every company we traveled with provided warm winter clothing (snow suits, thermal boots, and sometimes even hats and gloves), along with hot drinks and snacks along the way. 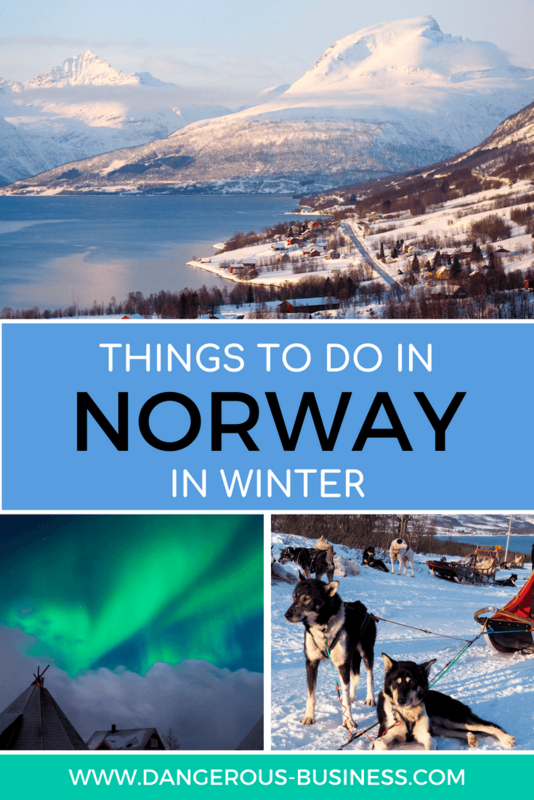 This is great for travelers who don't live in cold parts of the world, because it means you don't have to go out and spend a fortune on winter clothing before going to Norway! Looking for packing suggestions for Norway? Head over to my Northern Norway packing list to see all my favorite travel gear for winter in Norway! Pick up a Norway travel guide before you go. Which of these adventures would YOU be most excited about? *Note: I was a guest of Innovation Norway and Northern Norway on this trip, and also have to thank all the local tour operators we worked with. As always, though, all opinions are 100% my own. YAY!! You got pictures of reindeer!!!! I love reindeer. Dog-sledding looked like fun. Although I think I will opt for riding instead of driving. LOL!!! Everything looks so majestic. I love it all. I’m totally sold on this trip! It looks freezing but so gorgeous! It actually wasn’t all that cold! The weather was similar to a normal Ohio winter, which is way warmer than I was expecting it to be in the Arctic! I love reading about your adventures to cold places in the winter, I love going places like that myself! I’ve been wanting to go to Tromso forever. Would you say you preferred Tromso or Alta? I’m going to write a post (eventually) comparing the two, because they are two very different destinations. Alta is a less touristy Tromso, basically. 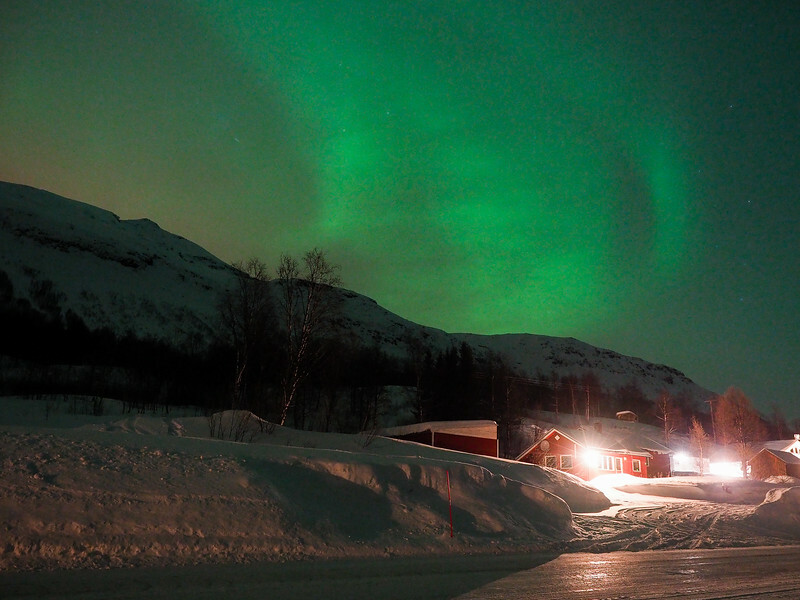 In Tromso, there are like 50 Northern Lights tours. In Alta, there are 5. Tromso gets a lot more cruise ship traffic, too. 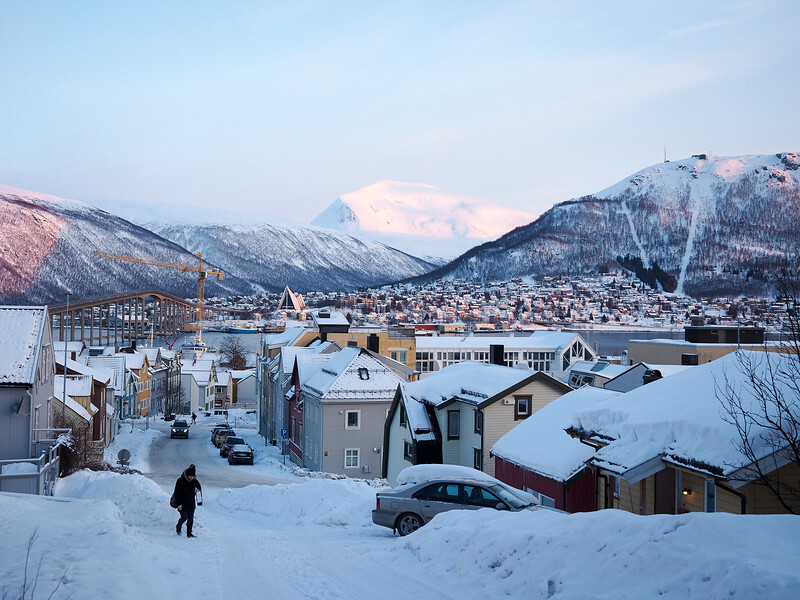 Tromso is a bigger city, but in Alta you get more of an intimate tour experience. So it totally depends on what you’re looking for! I personally loved them both. Skiing is great, but there are definitely plenty of other cold-weather activities to enjoy, too – especially in Norway! I loved it so much. I absolutely love Scandinavia, and I agree with you, northern Norway is not as cold as one would expect, and visiting in winter offers a unique experience in addition to stunning landscapes. Watching northern lights nearby Tromso is one of the most amazing experiences I have ever had. After Tromso I went to Lofoten and it was raining all day and night, maybe Alta would have been a much better option! Alta and Tromso make a great pair to visit, especially if you´re on a shorter visit. The Lofotens are definitely on my list, though! Northern Norway looks amazing…what an awesome adventure. I love the Ice Hotel and the dog sledding. You did all of this is a week? Would this be a good place to take our kids (they’re 13 and 11)? Like always…your photos are so inspiring! Haha, yes, we packed all of this into just one week! Kinda crazy, but also fun. And yes, this is a great place for kids of that age, especially if they love being outdoors! These reasons are seriously cool! 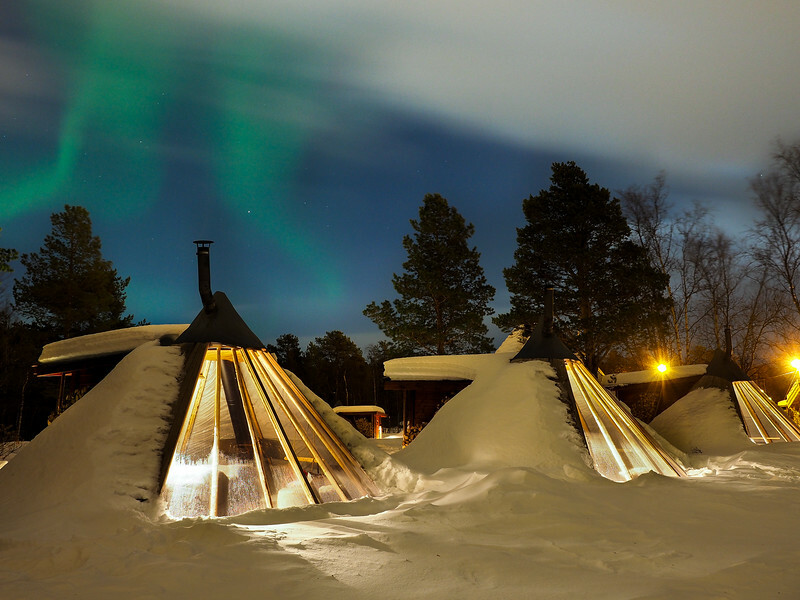 I am intrigued by the ice hotel and those aurora lights! They are spectacular!! The aurora really is magic!! Even though I´ve seen the lights a couple of times now, I don´t think I could ever get tired of them! Very nice! I was in Norway during the summer, but winter looks great there, in a country that obviously enjoys the cold weather. Yup, Norway is pretty great year-round!! Hold your horses… I thought Iceland had the prettiest landscape of the north in Europe. Norway looks equally impressive! 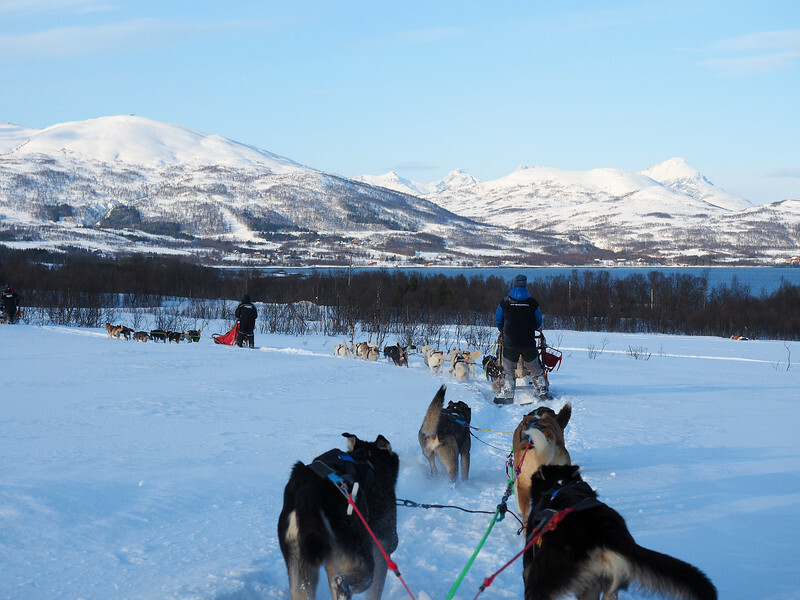 Dogsledding is something on my bucket list so I guess I’ll have to make my way to Norway one day, which judging by your pictures certainly isn’t a punishment! Iceland is indeed incredible, but Norway certainly is a competitor for the most beautiful landscapes – especially in the winter! I have plenty more posts planned – including one dedicated solely to the Northern Lights! I’m definitely not a fan of winter, but Northern Norway really does look quite gorgeous. I noticed from your pictures that it seems to get a bit sunny there, too. I’m sure that helps, especially since other places in Europe tend to have pretty gray and dark winters (like here in Germany). It WAS totally awesome – definitely worthy of being a bucket list trip! Such a great post, Amanda, and fun activities! I really love your photos of the Northern Lights so I’m excited to read your post about it. Thanks Miriam! I´m excited to write more about the Northern Lights, too, so there will be plenty more photos! Awesome, indeed! I’ve been to Norway twice in the spring, but next time it will be winter for sure! Definitely do it!! Norway in winter is pretty magical. Amanda, seems you really had a wonderful trip out there in Norway, Northern lights! well have looked only in the pics, seriously have to experience it, those are really stunning. The Northern Lights are even better if you can see them dance in person – but the photos are special, too. 🙂 I definitely had a great trip! 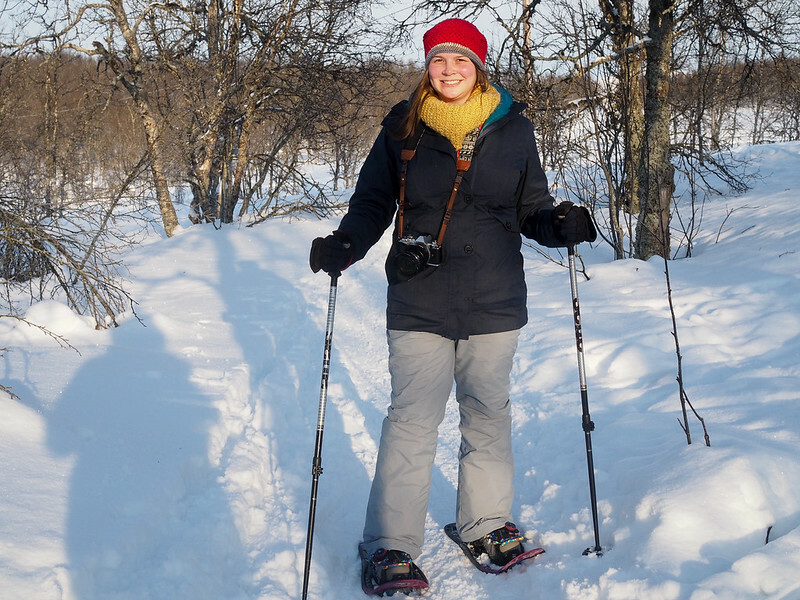 Northern Norway does sound fun during winter! Ice fishing is something I’d like to try. I used to fish more when I was younger, so I wasn’t too too excited about the ice fishing. But it turned out to be really fun!! Awesome experience! Question: where did you fly into when you went? Did you rent a car at all? Nope, did not rent a car on this trip! I flew into Alta, took a flight from Alta to Tromso, and flew home from Tromso (via Oslo). but do we really find a fish in that frezzzzing cold water….? Yes! Plenty of fish live in really cold water! We didn’t actually catch any that day, but ice fishing is a real thing! Beautiful landscapes, particularly with the snow, and I would love to see the northern lights. Does it really get as cold as it looks? It depends on your definition of cold! It doesn’t get as cold as people assume when they think “Arctic.” In fact, for most of the winter the temperature hovers around freezing (which is warmer than winter where I’m from in Ohio!). YOU’RE CRAZY, there someone had to call you it. But I will say Norway looks pretty darn amazing in the middle of winter. Great post! I am thinking of doing a Tromso and Alta trip in Jan 2017, do you have a more detailed, day by day itinerary of your trip? Also what would you recommend the best way to travel between the 2 destinations is? We will be flying from London and have noticed that the flights are not cheap! Hey Sandy! I don’t have an itinerary on my site, but I will be writing more about Tromso and Alta soon (in time for winter)! As for getting between the two, flying really is the best option. If you drive or take a bus (which, I’m not even sure if there is one!) it would literally take all day because you have to drive around all the fjords. May I know which month in winter did you visit? 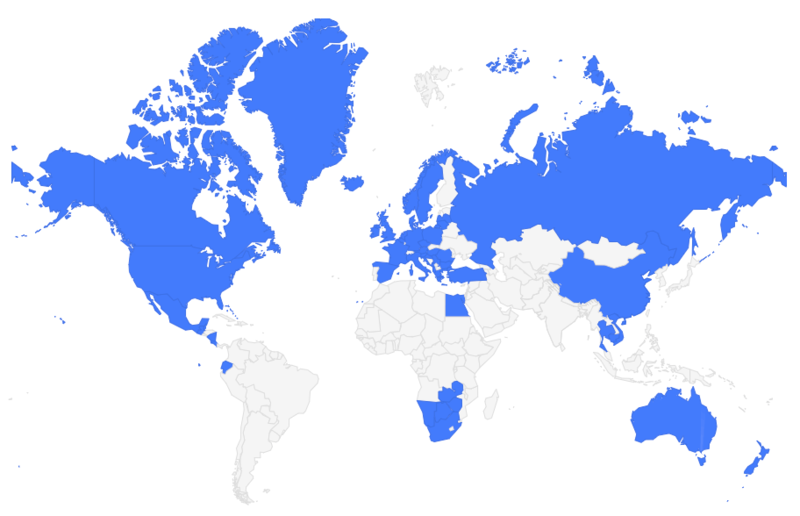 I can only travel in December, will it be a good month? 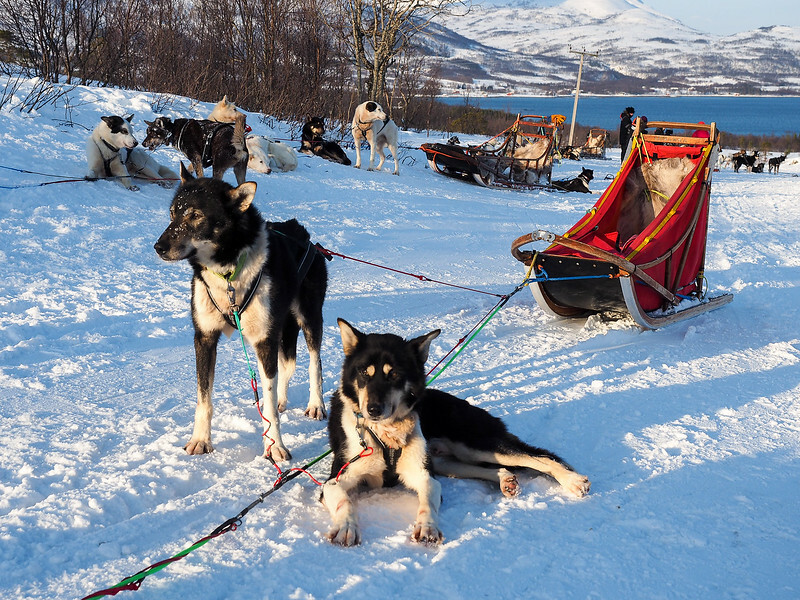 Where did you base yourself in Tromso & Alta to do these activities? Are there resorts that provide these at their doorstep, or we have to book with different operators? Do they pick up from your hotel/cabin? Thanks! What a beautiful trip! I’m planning a trip for April and have heard that many of the roads closed over the winter may still be closed. Did you rent a car while there? If so, did you have any trouble getting around due to road closures? Thanks! Hey Rachel! I did not rent a car when I went last February (mostly because I didn’t want to deal with driving in the snow!). My first trip to Norway was in May (2014), and all the roads were open by then, though there definitely was still snow up in some of the mountain passes. So I guess it really depends on where you’ll be driving! Oh how absolutely stunning <3 It's taking a lot for me not to book a flight right now! The farthest north I have been is Harstad and only in the summertime – I would love to catch the Northern lights this year, fingers crossed!! 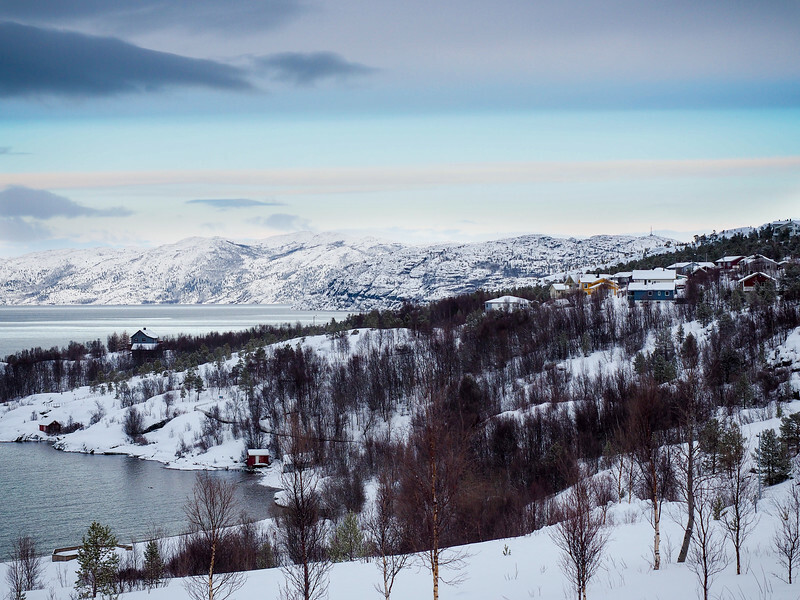 Northern Norway is stunning any time of year, but especially in the winter! You might have just solved my search for a holiday in late January. This looks brilliant. In this part of Norway, is there any ice climbing or snow hole making going on? A great blog, thank you. I am sure there is ice climbing in Northern Norway in winter, but I don’t personally know of any good spots, or any companies that offer tours. Sorry! Thanks for the excellent guide! Would you recommend booking all the tours in advance or is it something you can do once you get to Alta or Tromso? I am planning for a trip to Norway during Feburary 2019 to see Northern Lights. I will be travelling from Brussels. Can you please guide me which is the best place to visit in Norway. As I don’t like to do much research I will go by your words and places as you have quite some experience. I plan to go there only for 3-4 days so cant cover much but the main reason for me going over there is to see Northern Lights If you can let me know a city which can be reached via flight and then a town or someplace nice with hotels where northern lights can be seen . I would choose either Alta or Tromso. You can read my comparison of both here: https://www.dangerous-business.com/2016/11/tromso-vs-alta-norway/ Both offer the chance to see Northern Lights, as well as several outdoor winter activities. I am planning to go to Norway in January and wanted to pick your brain about the excursions you did. If you had to chose one of many options what would you do. Also, what did you do during the day when the sun wasn’t out and your weren’t on an excursion? I will be there doing an orca excursion for five days and then am deciding how long to stay and visit Norway or if I should go tour another country for a couple days. I will take any suggestions you have! Hey Heather! When I went to Norway in winter, it was actually in late February, when there wasn’t as much darkness during the day. So I didn’t have to “kill” any hours really! 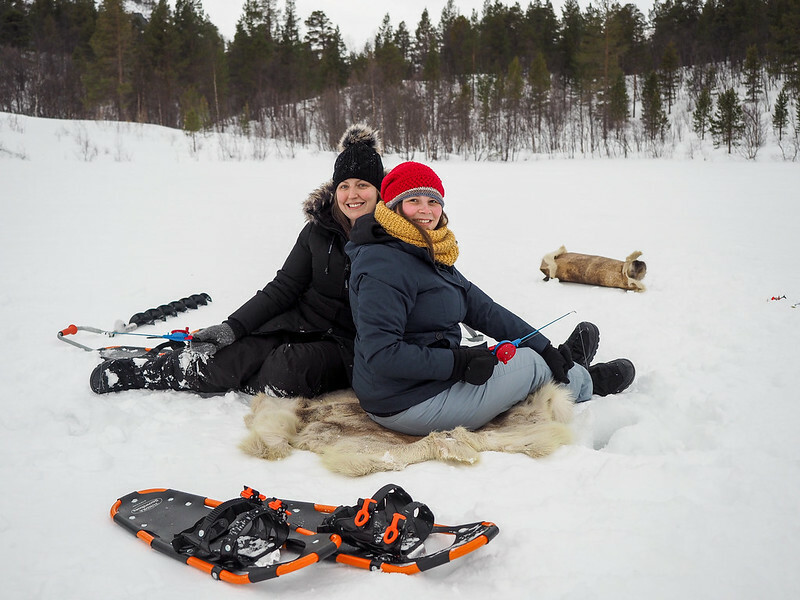 I’ve written a new post that’s an itinerary for Norway in winter that might be helpful: https://www.dangerous-business.com/2018/10/10-day-itinerary-norway-winter/ My favorite daytime excursions were dogsledding and snowshoeing! And Northern Lights chasing is also a must if the weather is good. 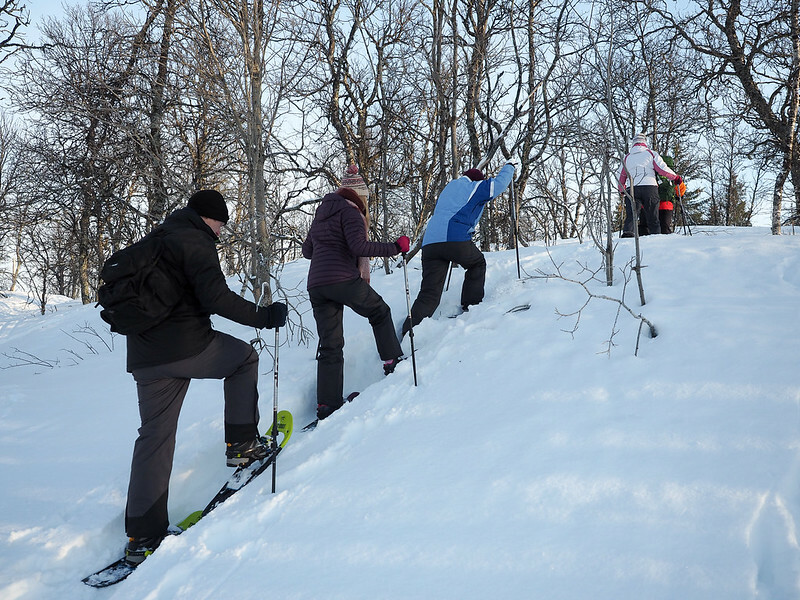 What company did you use for snow shoeing? There are links in the post! In Tromsø, I went with Tromsø Outdoor. In Alta, I did a snowshoe + ice fishing tour with GLØD Explorer. Amanda how did you get between Alta and Tromso? I’ve been trying to figure out the best way. How were the roads? Would it be safe to rent a car and drive around? I took a flight between the two. You can technically drive, but it would take at least a full day because the road between the two goes around a bunch of fjords (and can also be snowy/icy in the winter!). I’ve only done road trips in Norway in the spring and summer. You are amazing Amanda, had a wonderful trip. 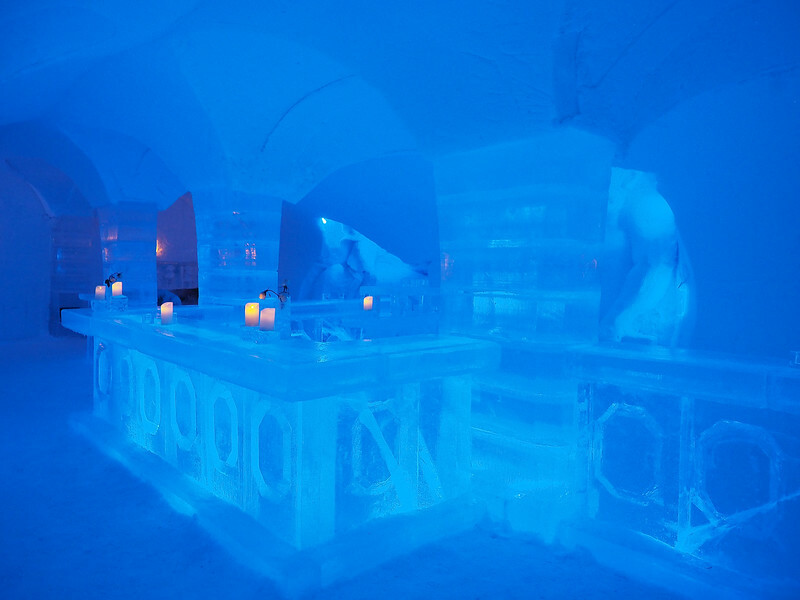 I got stuck to seeing ice hotel well decorated that was incredible which made out entirely from ice even their other things made like bed, chair, bar and all. 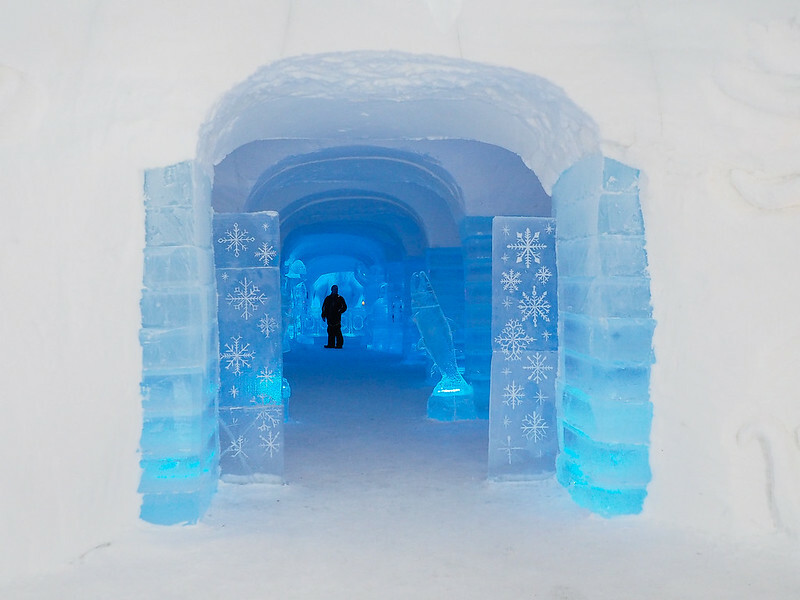 I am also planning to visit northern Norway and willing to visit first ice hotel which had been my favorite one. Keep posting.